The honeycomb stitch, an original knitting technique that gives structure and individuality to the knit, has been reintroduced for the second time in a row. This casual V-neck sweater is anything but conventional. 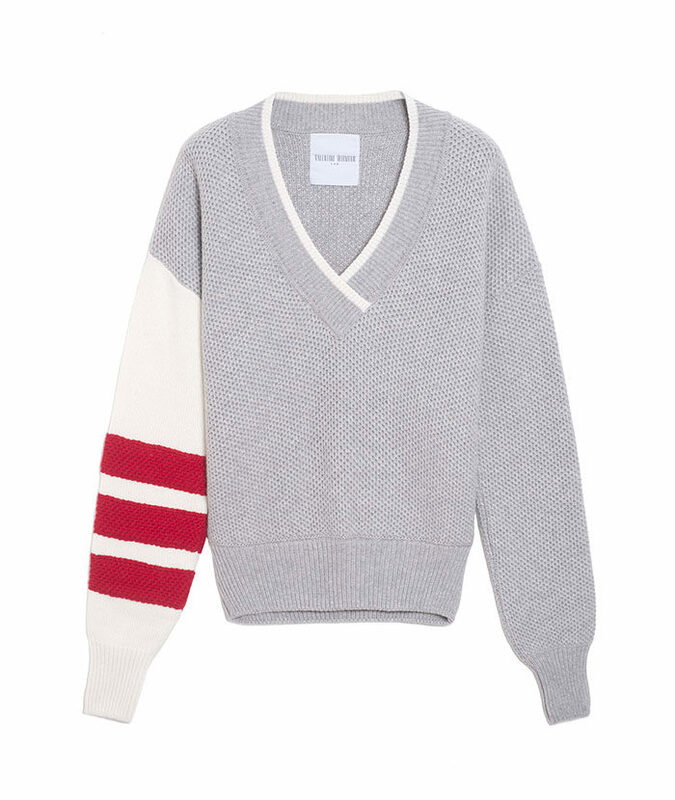 The white jersey sleeve has been decorated with structured ribbed red panels for a unique textured effect.